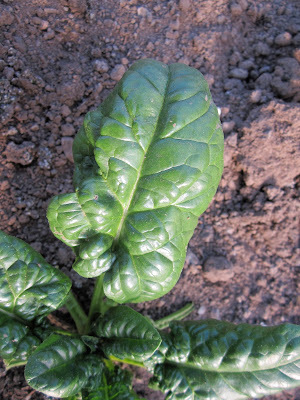 That spinach's growth comes from the center and therefore pushes the more mature leaves to the outside , when they are big enough we harvest them. Each plant has a story to tell us and by simply watching this story unfold, we can figure out how best to care for the plant. 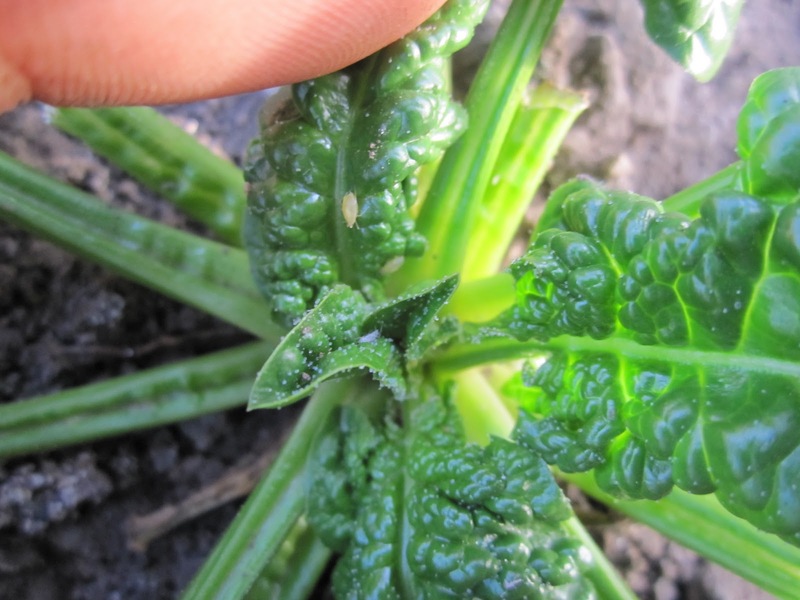 By cutting off the outer leaves, we trigger the plant to push out new leaves from the center whereas the maturing leaves are now pushed to the outside. By looking back a few stages we can see it all happen. 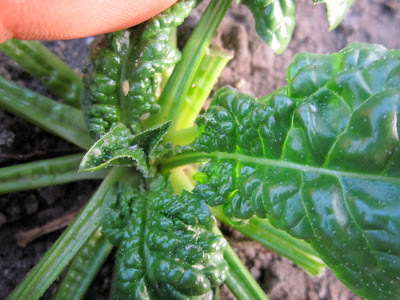 A great way to see this in a mature plant is to fold back all of the leaves, with every fold towards the center a new, sometimes tiny leaf will become visible. Once we identify the leaves we want to harvest, like a carousel, we can go round the outside of the plant harvesting big leaves. Another important point to remember is that the plant uses it's leaves for photosynthesis, which is the way it produces food for itself. Larger leaves have a greater surface area and therefore it's best to leave one or two of the bigger leaves to maximize the sunlight that the plant can use. Using a knife, or my fingers, I go around the plant taking the leaves with as thin and straight a cut as I can make. The straightness of a harvest cut is also important because when we take a leaf we are injuring the stem. Whenever a plant, person, or any living organism is injured the first physical reaction is to fix that problem before it moves on to anything else, so for the spinach, we want a straight cut minimizing the surface area of the wound so the spinach can heal quicker and move on to producing new leaves and pushing out bigger leaves for the next rounds of harvest.